Nafarmaan, the mighty Black/Death quartet from Bangladesh has came up with their debut EP ‘Quayamat Lullaby’ recently. Along with the title track the EP contains four songs to slay all the false of the religions. Nohttzver (Ex- Weapon), who leads the Nafarmaan horde with his intense blast have written all the blasphemies along with Agnee Azaab that got alive by the blood vomiting invocation of Imam Iblis (Ex- Bloodlust). 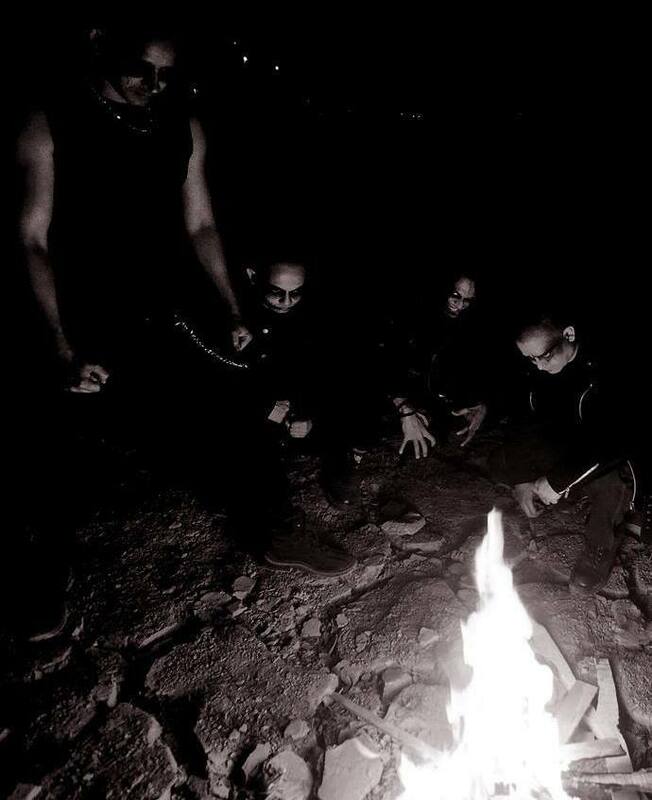 Having formed in 2008, after some lineup changes, the Nafarmaan horde is currently continuing their journey with Nohttzver, Imam Iblis, Marhoum, Agnee Azaab. The title track ‘Quayamat Lullaby’ is a superb composition with a very authentic sound. From the very beginning of the first offering till the last, Nafarmaan has successfully created their signature sound. The second offering, titled ‘Bloodsoaked Revelation’ contains a very soothing and melodic guitar solo that has definitely taken the song to another level. The song finishes up with a chanting back voice which made it even more dark and yeah, bloodsoaked! ‘Leashed Silence’, another killer song with an even darker guitar output. The song starts up with a dark and atmospheric plucking which came up repeatedly throughout the song for several times. This one also contains a mentionable guitar solo. But unlike ‘Bloodsoaked Revelation’ this time the solo was faster. The final offering from the EP was ‘Godless Messiah’, probably the fastest and to me, the most ear-bleeding one. Nohttzver comes up to the fullest of him with some terrific blast and intensely creative moves. This almost 8 minutes long track contains several guitar solos. At the end of the song, the final laugh by Imam Iblis spread the sheer madness among the listeners. The final dark plucking along with the sound of withering wind gave a perfect ending to the song. The mixing and the mastering of ‘Quayamat Lullaby’ couldn’t satisfy me completely. The volume level of the drums output was lower than the usual that made me repeat some parts of the songs for several times to understand and feel the works to the fullest. The guitar outputs could have been clearer. The bass output was louder than usual unlike other bands of the same genre. But it’s all okay because that adds a different essence to the Nafarmaan offerings. Throughout the EP, the lead vocal Imam Iblis was flawless and intensely energetic. ‘Quayamat Lullaby’ is also scheduled to be distributed by Salute Records in CD format and in tape format via Graceless Recordings. Nafarmaan is currently working on materials for the Full-length and is hoping to hit the studios again mid this year. 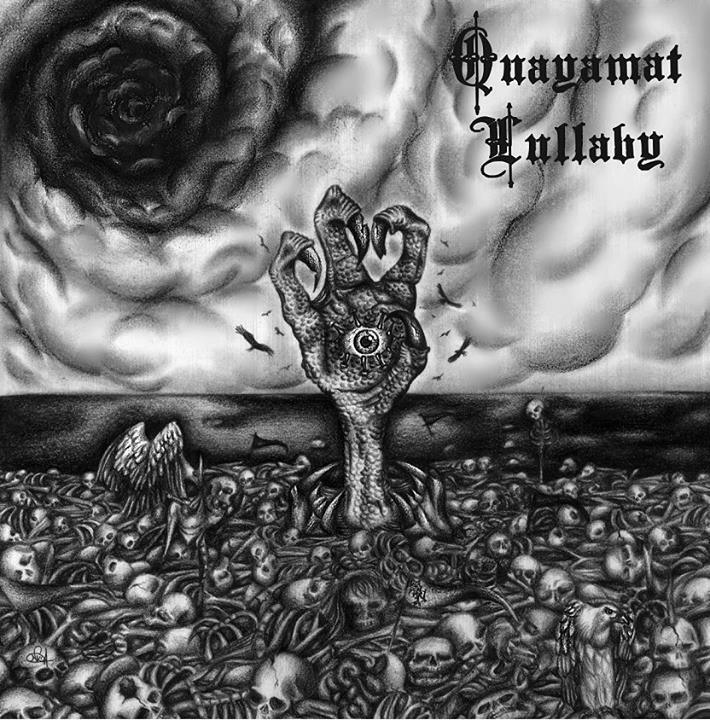 I believe, by the end of 2014, ‘Quayamat Lullaby’ will be treated as one of the best extreme metal releases of the year. No matter what, this masterpiece is worth checking anytime. I strictly recommend this release for each and every metal lover and welcome you all to enter into the era of Nafarmaani.